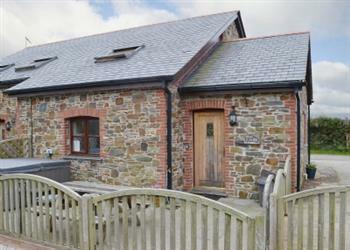 The Old Mill House at Lana Park Cottages in Welcombe, near Bude sleeps 6 people. Lana Park Cottages near Bude are on the Devon/Cornwall border, this is an ideal location for a seaside holiday or a relaxing escape at any time of year. The coastline in both directions offers some great scenery in the west country and there are many long sandy beaches and hidden coves to explore. 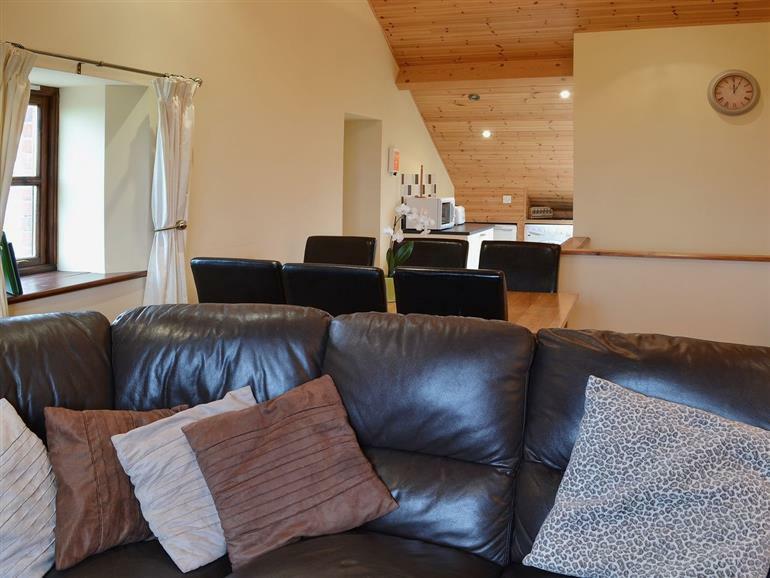 Surrounded by farmland and open fields, with lovely walks from the doorstep, each of these delightful barn conversions (refs W44065 & W44066 [The Stables]) enjoys panoramic coastal and sea views over open fields from the living room, which is situated upstairs. Nestled within a designated Area of Outstanding Natural Beauty, within the grounds of the owner's home, the pretty beach at Welcombe Mouth is less than 1 mile away and is a mixture of sand and rock pools. Take a break from the cooking with an evening in the character thatched village pub which is perfect for families and is renowned for its food. A shared ½-acre play area at the front of the cottages is the ideal place for little ones to let off steam with an enclosed lawn complete with swings, slide, Wendy house and other play equipment. Picturesque Clovelly, with its cobbled street leading down to a tiny harbour is just a short drive away. Historic Bideford, a prosperous port during the heyday of trade with America has a good selection of town amenities, restaurants, a weekly market and boat trips to Lundy Island. Bude, 8 miles, has a good selection of shops and restaurants, many specialising in locally caught sea food, along with a golf course, indoor ‘Splash’ pool, surf schools and bowling. Coastal walking, cycling, golf, riding, fishing, surfing and sailing are all available in this stunning area. Docton Mill, Hartland Quay and Hartland Abbey are close by, along with many pretty fishing villages to explore including nearby Instow and Appledore. For family fun the Big Sheep and Milky Way Adventure Parks are a must. The shop is 2 miles, with the beach, pub and restaurant 1 mile from Lana Park Cottages near Bude. Step to entrance. Ground floor: 2 double (5ft) bedrooms, one with additional bunk. Bathroom with corner bath, shower cubicle and toilet. First floor: Living/dining room/kitchen. Snug with sloping ceiling. Wooden floors throughout. Three Freeview TVs. DVD. Hot tub. Both properties: Oil central heating (underfloor in bathroom), electricity and bed linen included. Towel hire. Travel cot and high chair on request. CD. Electric cooker. Microwave. Washing machine. Dishwasher. Fridge/freezer. Wi-Fi. Small enclosed patio garden with sitting-out area and furniture. Shared large lawned garden with sitting-out area and children’s play area. Parking (2 cars). Welcome pack. No smoking. Holidays at The Old Mill House, Lana Park Cottages run from Friday to Friday. For a better idea of where Lana Park Cottages - The Old Mill House is, you can see Lana Park Cottages - The Old Mill House on the map below. Lana Park Cottages - The Old Mill House is in Devon; should you be on the lookout for a special offer, you can find all the special offers in Devon. It's always worth checking to see what is on offer at the moment. Do you want to holiday near Lana Park Cottages - The Old Mill House (W44065), you can see other cottages within 25 miles of Lana Park Cottages - The Old Mill House; have a look to find your perfect holiday location.